“Go to almost any metropolitan area and ask to visit the largest Christian Church. Chances are it will be one of these new post-denominational churches’. In Lagos, Nigeria, it would be the Deeper Life Bible Church, pastored by William Kumuyi. On a recent Sunday, I saw 74,000 adults worshipping together, with 40,000 children meeting in a separate building across the street.” (Apostolic Team Ministries, Intl., Newsletter 09). 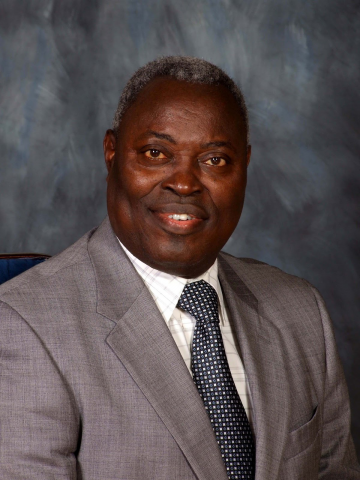 Pastor Kumuyi’s own Christian life developed because he took the Bible so seriously, and so the Deeper Christian Life Ministry has developed in the same way. In Alan Isaacson’s own words, he “preached Deeper Life into existence.” His sermons were captivating, wrote Isaacson, “I would classify him as one of the greatest living preachers, giving a straightforward Bible-based message,his sermons thorough, and always personally challenging. He always gave a wide range of cross-references which were read in their context, supporting, clarifying and expanding his main points. He spoke clearly and authoritatively to the Nigerian situation. He dealt sensitively with African culture, but also made a firm stand in highlighting the points where the local culture was incompatible with the will of God. While stressing the high moral tone which is one of the virtues of most African cultures at their best, he was at pains to specify those aspects of local culture which were unchristian and even evil. In this way, he was not only concerned with some kind of personal holiness, but also genuinely seeking the wholeness and harmony of the community at large, where truth, honesty, and justice should be the predominant characteristics. He is not tall and does not have a larger-than-life character. He does not dominate, nor has he accrued power to himself. He walks slowly, is relaxed, and has a gentle sense of humour with a warm smile and a twinkle in his eyes. He dresses simply, eats simply… and… could have assumed titles to himself. As the Deeper Christian Life Ministry developed – most people enjoy the trappings and regalia of status which followers gladly give. But he calls his followers brothers and sisters and treats them as colleagues.